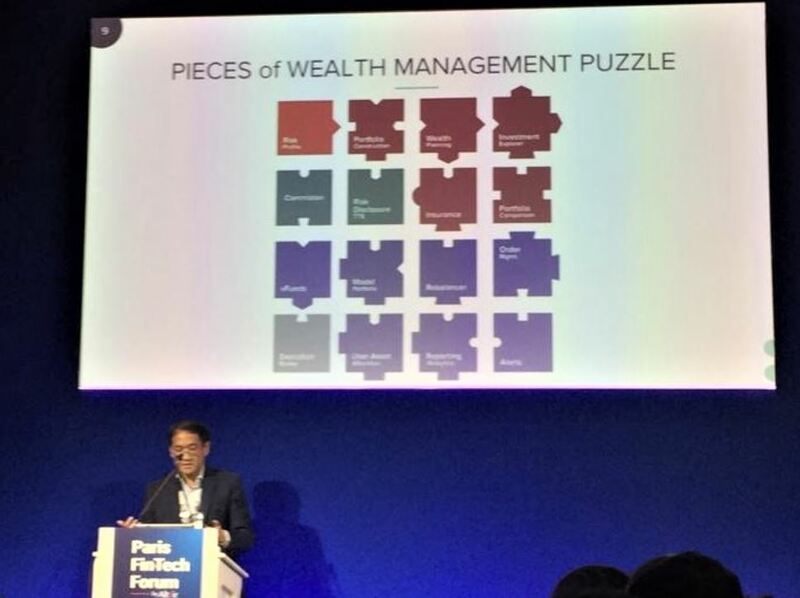 Paris Fintech Forum is the biggest European event on digital finance, the attendees, chiefly CEOs and Managing Directors of Banks, Insurances, Regulators and more than 150 worldwide Fintechs from all sectors at various development stages. More than 2,600 individuals attended the annual event held at Palais Brongniart on 29 and 30 January 2019. The two days discussion were mostly on Artificial Intelligence. It focused on Machine Learning as a branch, but not the other branches like Genetic Optimization. The panel largely agreed that the current state of Artificial Intelligence lacks foresight because of the past data that is used for learning and that a more sophisticated algorithm is required for creative thought. On stage, Charles shared his insights on Wealth Management and Robo-Advisory. He also include some contents on the latest developments of Artificial Intelligence in the Banking sector. Charles shared insight into Privé’s solutions that help financial institutions streamline and transform through complete digitization, enabling them to operate more efficiently and effectively than ever before and highly reduced cost – ultimately driving revenues. Privé Technologies provides end-to-end solutions for banks, financial advisors, independent asset managers, and insurance companies. I am happy that I got a chance to showcase Privé Technologies to the French Fintech community through this forum. Thank you to Alteir Consulting for having Charles represent Privé Technologies as a guest speaker.